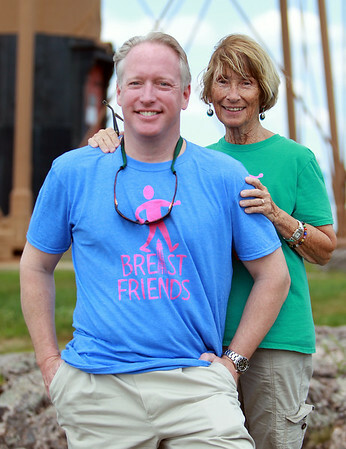 Adam Smith, and his mom Carol Smith, have been running a walk around Marblehead Neck for breast cancer every fall in Marblehead after Adam's wife Sara was diagnosed. Sara passed away, but the Smith's still hold the walk which on average draws around 500 people and this October 5th will mark the 9th annual walk. DAVID LE/Staff photo. 7/29/14.